The Millers Association of Zambia has expressed disappointment with its members who have been found wanting due to under packaging. 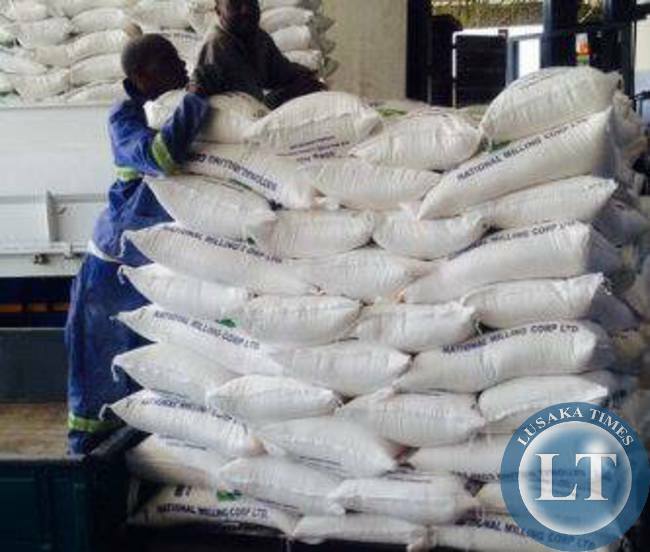 Association Chairperson Andrew Chintala said it is unfortunate that some of its members have been found guilty of the offence of underweight packaging and selling underweight mealie meal. Mr Chintala further said his Association will launch investigations on the matter to establish the cause of such behaviour by its members. Seven out of 10 inspected milling companies in Lusaka, Ndola, Luanshya, and Choma were found guilty by the Zambia Weights and Measures Agency of the offence contrary to the provisions of the Weights and Measures Amendment Act number 12 of 2003. And some consumers have called on the relevant authorities to institute necessary punishment to the millers found guilt of underweight packaging. Samson Ngoma of Lusaka said the behavior by the milling companies can only be described as day light robbery of consumers. He said it was unfair to hard working Zambians to be robbed by millers in such a manner and that stringent monitoring measures should be put in place to ensure that aligning millers are kept in check. Another consumer also from Lusaka Gerald Mwansa suggested that millers fund guilt should be black listed by the FRA as punishment of their crooked behavior. He said Zambians cannot be subsidizing the commodity for companies which in turn use dubious means to reap them of the little they earn. He said there are a lot of poor Zambians who struggle to make money and that selling them underweight bags of the staple food adds to their challenges hence a befitting punishment would be to deny the millers found wanting access to the FRA maize. i stopped buying antelope mealie meal long time ago after i observed they were selling underweight bags. Tabwalepaka ubunga?? Trick is to put a piece of charcoal in bag. A 25 kg will last 1 months. They should have been named so that people know and stop buying their mealie meal. Why hide their names? Its not fair on the consumer. Kindly check the earlier report, all the millers were named. Thanks, I will look for it. They should pay penalties for betraying the trust of the Zambian People. They have gained financially from selling underweight mealie meal. We all know UBUNGA is the heart and soul of a COMMON Zambian MEAL. Any body, regardless, who tempers with that has no empathy for the suffering of poor Zambian, many of who live below the poverty line. It is inhuman.its unpatriotic . Its socially a very irresponsible behavior by the companies invloved. IT IS NOT A SIMPLE MISTAKE TO BE DISMISSED JUST LIKE THAT. VW is paying Billions in America for such mistakes. The bread and contractors cartels in South Africa have paid dearly for their mistakes. The problem in Zambia is that we don’t get to the bottom of issues! If this is happening there must be a cause or underlying reason which needs to be established and remedies found. One thing here looks clear that this cheating of consumers on weight appears to be “policy” in these companies and it has led those involved to pocket money intended to benefit the Zambian consumer and therefore there must be serious penalties for such!! When people are complaining about the cost of mealie-meal this is the least we expect from a normal miller therefore government needs to swing in full action and clamp on these millers,unless their politicians and officials are beneficiaries!